Uninsured drivers cost every insured driver $14 annually, according to the Insurance Research Council (IRC). If you are unlucky enough to encounter an uninsured driver, your costs could be much higher…unless you have the right insurance coverage. The IRC estimates that 12.6 percent of U.S. drivers do not have auto insurance. 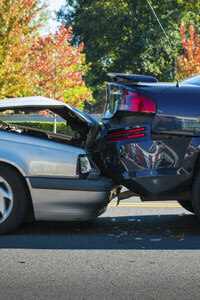 What happens if you become involved in an accident with an uninsured driver? Motorists who drive without insurance typically do so because they can’t afford insurance premiums. Thus they’re equally unlikely to be able to pay for the damage they cause in a wreck — from several thousand dollars for a fender bender to tens or hundreds of thousands of dollars for totaled new cars or huge medical bills. And the bigger the damage, the more likely an offending uninsured driver is to file for bankruptcy. Uninsured drivers also cost you money in other ways. Insurance companies factor a state’s uninsured costs into their premiums for safe, insured drivers. This means those who buy coverage end up paying more than they would based on the risk they themselves pose. A basic auto policy is designed to cover liabilities you incur while operating a covered vehicle. The policy’s bodily injury liability coverage will pay for treating injuries you or a permitted driver cause another person while driving a covered vehicle. A basic policy will also cover your property damage liability, providing reimbursement for damage you cause to another person’s vehicle or property while driving a covered vehicle. Your policy might also provide medical payments coverage or personal injury protection (PIP), which pays up to a specified amount towards the cost of treating injuries to the driver and passengers of the policyholder’s car. However, the basic policy does not provide any coverage for your injuries or damage to your own car caused by another driver—unless you buy uninsured motorist coverage. paid…if he/she had insurance. Is it worth the extra money? The IRC estimates that insurance companies paid out $2.6 billion in uninsured motorist claims in 2012, not including claims for fatalities and total permanent disability. Underinsured drivers pose another problem. These drivers have only the minimum state-required limits of liability on their auto insurance. This might not provide enough coverage to adequately compensate others when they become involved in the accident. For example, a minimum limit policy might not have high enough limits to cover serious injuries or lost wages. Underinsured motorist coverage will pay you for costs that exceed the amount of coverage the other driver carries if you’re involved in an accident with an underinsured driver. In most states, insurers bundle uninsured and underinsured motorist coverage together, calling it UM/UIM coverage. Without UM/UIM coverage, your only recourse in an accident may be to sue the other driver to cover your losses if he/she doesn’t have insurance or enough insurance. That’s an expensive and lengthy process. Since many people who forego insurance or are underinsured don’t have much money, you might not recover much even if you win your case. UM/UIM coverage also protects you if a hit-and-run motorist hits your vehicle, and it will cover you if you are hit by a car as a pedestrian. Although you will pay your policy’s deductible when accessing this coverage, UM/UIM coverage costs little for the added peace of mind it provides. For information on adding or increasing your UM/UIM coverage, please contact us.